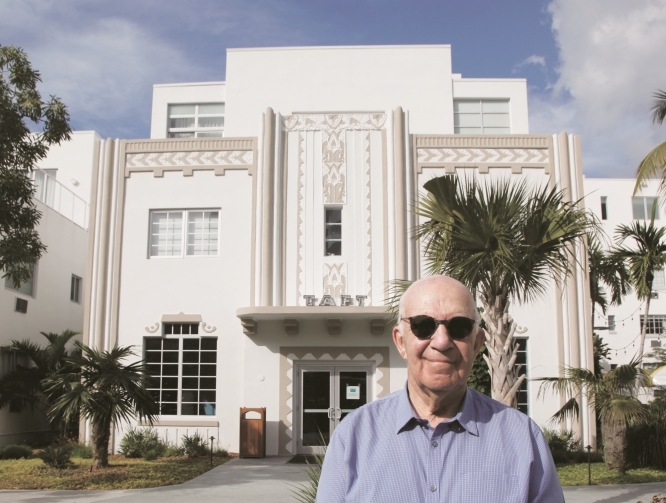 Photo: Arnold Schwartzman Mr Scharzman takes in the art deco scene in Miami. Arnold Schwartzman, the author of Art Deco City likes to say that he loves the visual arts, architecture and design style because it was fashionable at the time of his birth, 1936. “I’m from that era,” he said. “I was born in a workhouse in Wapping, and my father worked at the Savoy Hotel in London – a beautiful building, incidentally, which still has many Art Deco interior features. “He served all the great Hollywood stars of the era, including Charlie Chaplin, Walt Disney, Edward G Robinson, Charles Laughton, and Marlene Dietrich. “I fell in love with Art Deco, Hollywood, everything,” he said. After the Second World War, when he was 11 years old, Arnold’s parents moved to Margate. “During the summer holidays they would pack me off to stay with my great aunt in Paris, which has a wealth of Art Deco buildings.